Historically this is the start of Park Road with Willoughby Street crossing it from left to right. The section of road feeding into the roundabout now appears to have acquired the name Park Road but originally it formed part of Sherwin Road. The shop on the right of the previous photograph is still very much with us although its potential clientele may now have changed somewhat given it sells a wide range of Polish foodstuffs . 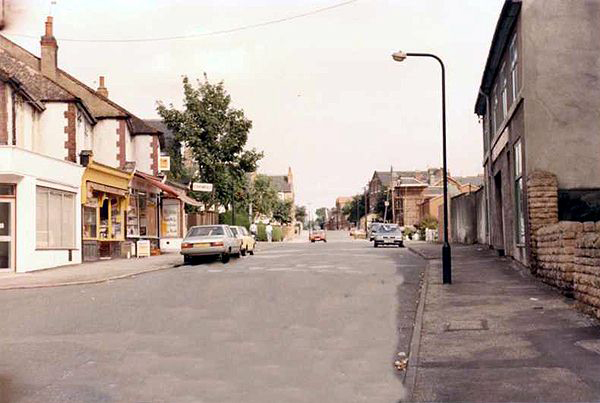 Moving along Park Road away from its junction with Willoughby Street in this 1986 photograph, you get to see some more of the shops on the south side of the road. Peter Holland took this shot of Park Road in 1978. Since then the two of the shops in the middle distance have been converted back into domestic dwellings. While the original properties on the south side of Park Road are still very much with us the equivalent portion of the north side of the road was demolished in the early 1960s as part of the Corporation's Willoughby Street area clearance scheme. Their replacements can be seen in this 1986 photograph. 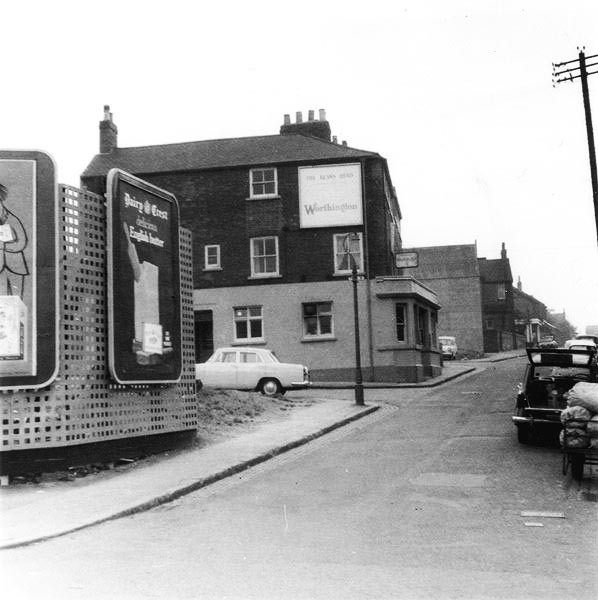 This is the same portion of Park Road as in the previous photograph but taken in the early 1960s after some of the original properties had already been demolished with temporary advertising hoardings taking their place. Further up the white car is parked on the start of Tyne Street. One or two of those soon to be demolished properties are just visible on the left of this photograph taken by Harold Bexon in the early 1950s. 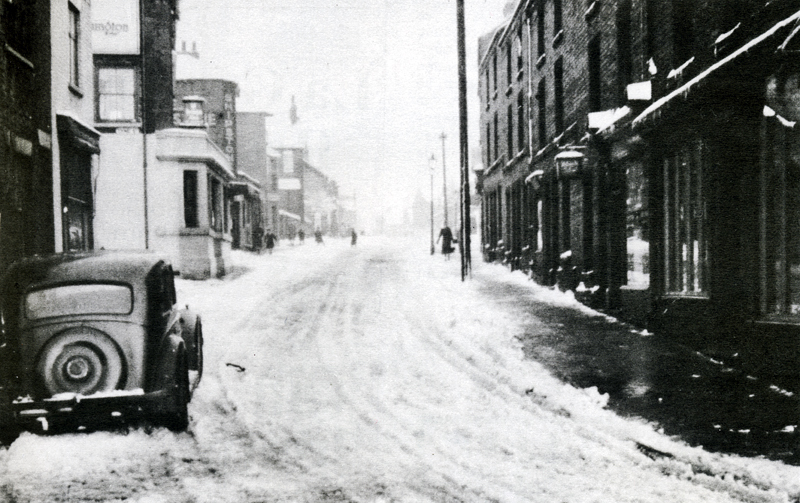 This wintry scene featured on the front cover of The Lenton Listener No.43 [December 86-January 87]. 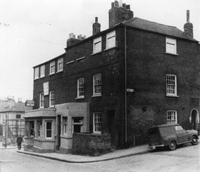 The Kean's Head public house used to be found on the stretch of Park Road between Tyne Street and Park Street. 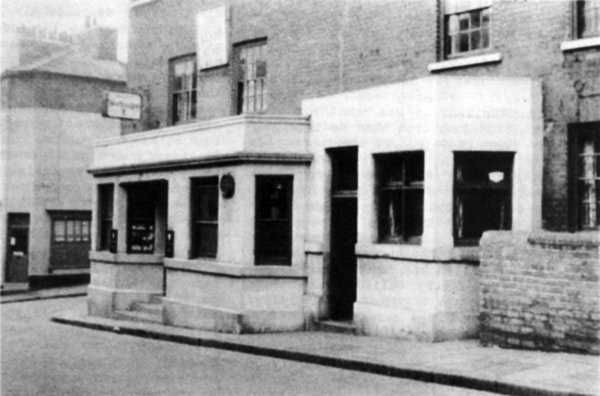 This close-up of the pub's frontage was taken by Harold Bexon in the 1950s. As is evident in this early 1960s photograph taken by Jack Hall the Kean's Head was based in quite a large property. Off to the right lay the beginning of Park Street. 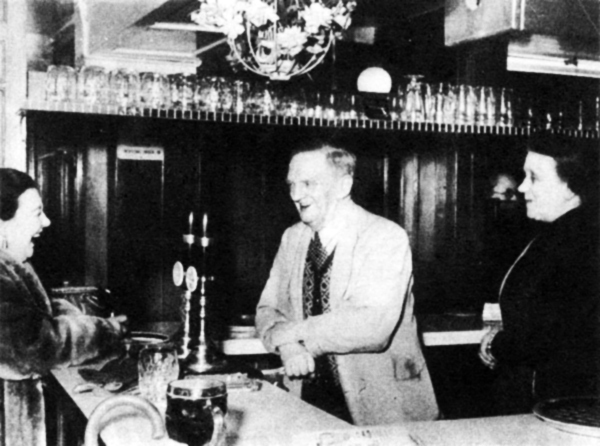 Frank and Gertrude Staniland behind the bar of the Kean's Head enjoying a joke with a customer. The photograph was most likely taken sometime in the mid-1950s. See Memories below. One building on the north side of Park Road that would be ignored by the demolition men in the 1960s is this small workshop. This is how it looked, in black and white, in 1986. A more recent shot in 2017 shows the same building in full colour. 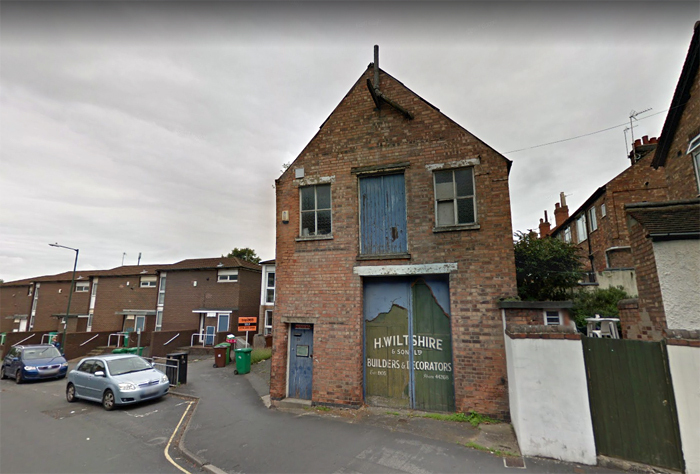 Now that petty vandalism has resulted in the hardboard cover being more or less completely peeled away it is clear that the building once housed the workshop of Henry Wiltshire & Son, formed in 1905, who operated a local building company. 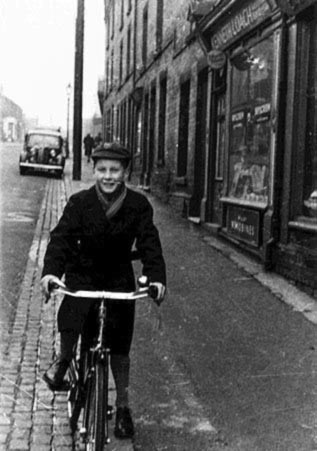 Moving back across to the south side of Park Road, this photograph clearly taken to show off the acquisition of a new bicycle in 1955 also provides us with a glimpse of Ken Loach's barber shop. See Memories below. 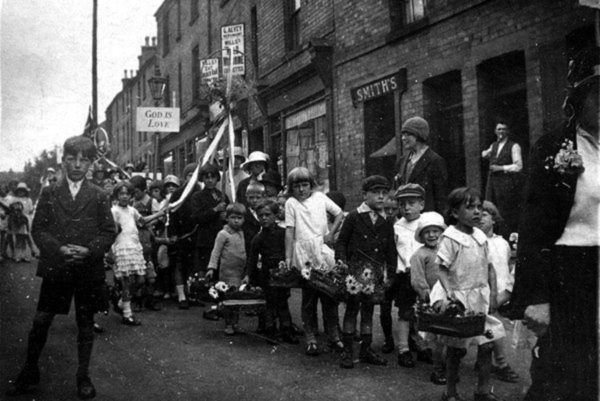 This photograph was taken by Ada Marriott in 1933 and shows a group of Sunday School pupils about to make their way down the street and processed around the area. John Haywood has been able to identify some of the children featured in this photograph: 4th from the right in the white top & cap is Sid Haywood (John's father); next to him also in a cap is Sid's cousin, Ken Haywood; at the back in the doorway of No.18 is Ken's father, Arthur Haywood. John also points out that No.20 was occupied by Smiths the cobblers. On the south side of Park Road there is a further block of original properties which are set back slightly from the road. 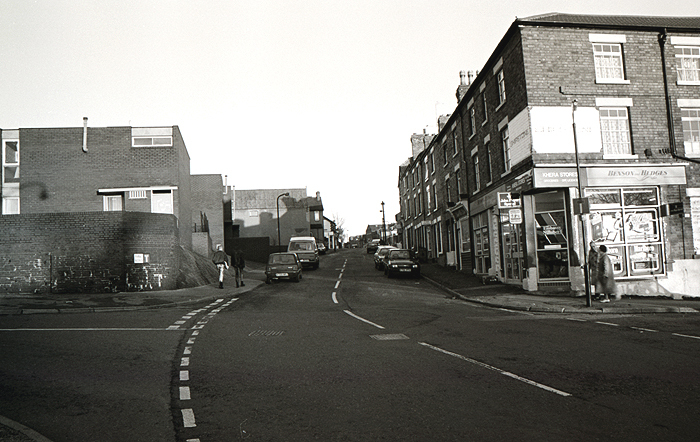 The point where this change occurs is visible in this 1986 shot where the photographer is looking back towards the junction with Willoughby Street. This is a more recent view of this section of properties all of which were most likely built in the early nineteenth century. 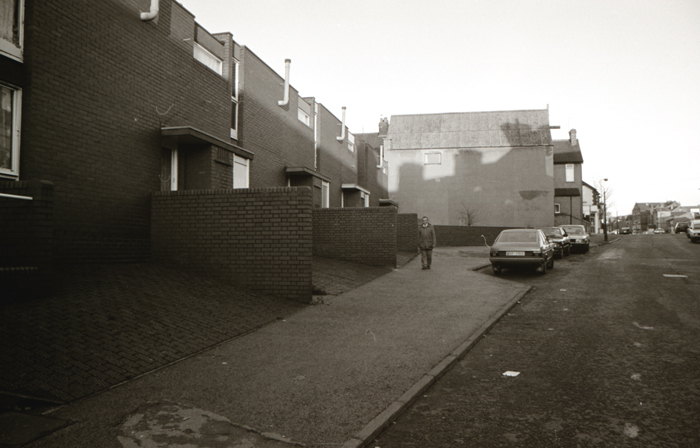 A 1978 view showing the backs of part of the Park Road terrace of properties. 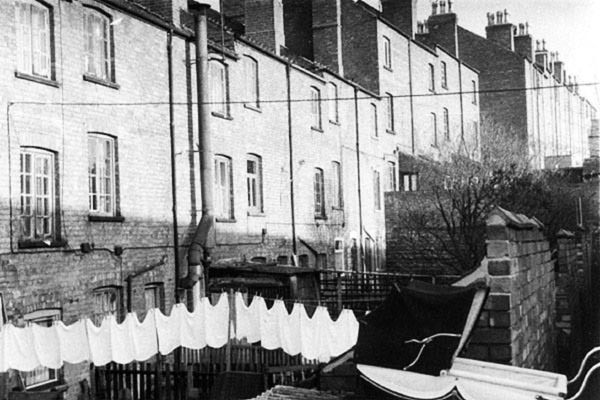 The pram and the array of freshly washed nappies hanging out to dry would suggest there had been a recent addition to the family in one of these properties. 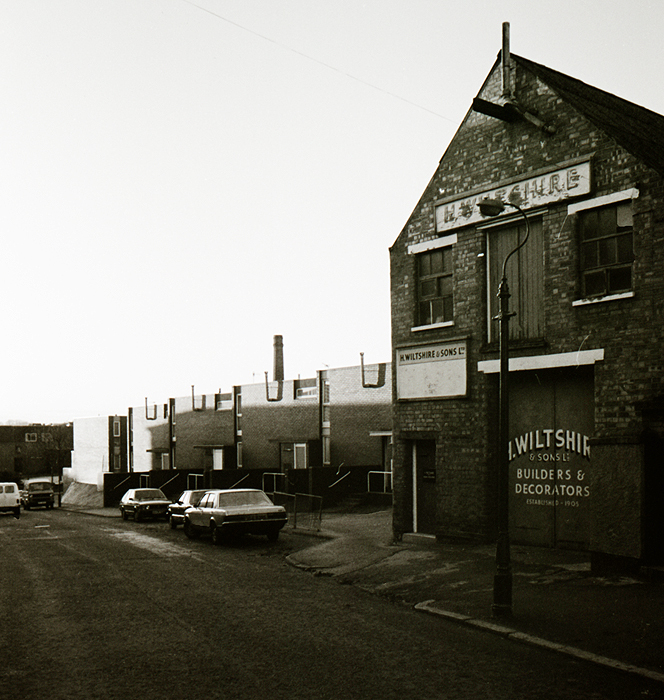 The Willoughby Street area which underwent redevelopment in the early 1960s was a mixture of housing and industrial premises. 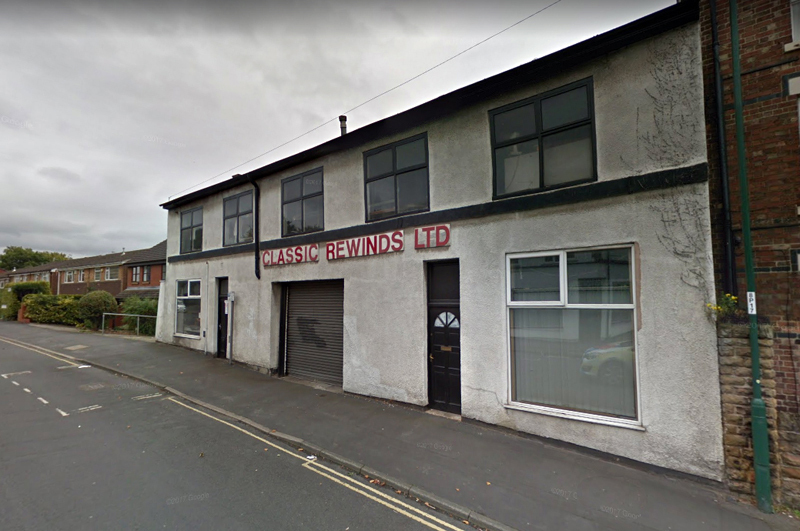 One of the latter properties that survives to the present day is this one on Park Road currently housing Classic Rewinds Ltd., which offers all manner of services and repairs to electric motors. 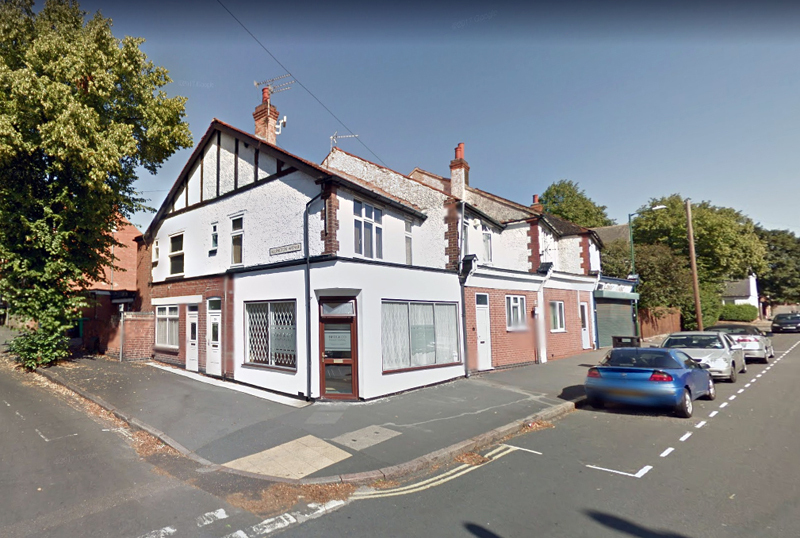 The section of Park Road lying between Allington Avenue and Rolleston Drive had its own row of shops dating from the period when the 'Drives' were laid out in the interwar period. None of them now  serve as shops although the shop frontages are still retained on one or two of the properties. 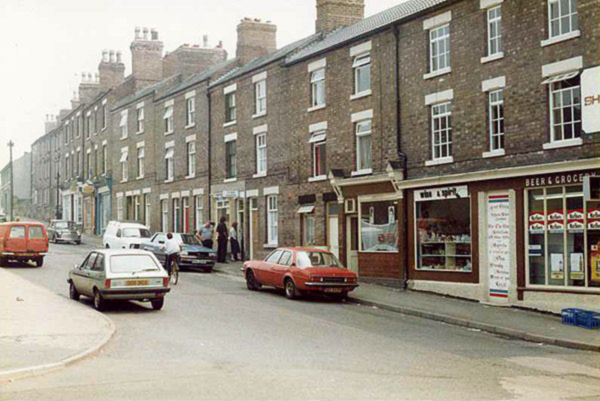 This is that same row of shops in 1986 when they were still very much open for business. 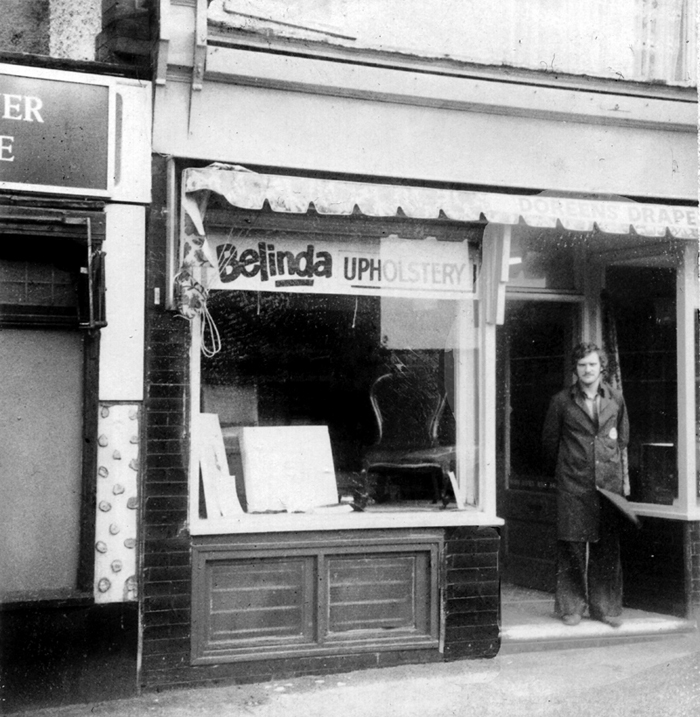 Taken in 1980 this shows David Matthews standing in front of No.27 Park Road where he had established Belinda Upholstery. The business was named after David's wife. Two doors up, at No. 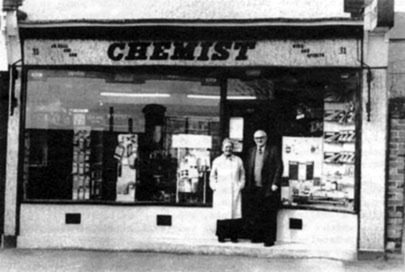 31 Park Road was the chemist business run by Fred and Vera Ball who are posing for their photograph in front of the shop in 1982, shortly before they retired and sold the business. See Lenton Listener No.18 May-June 1982. 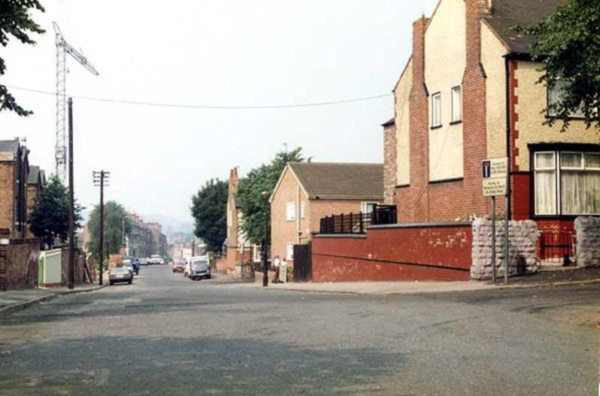 The junction of Park Road and Harrington Drive in 1986. The crane on the left of the photograph is actually on the land down on Castle Boulevard where the M.F.I retail outlet was under construction - since demolished and replaced by the Cornerstone Church. The same junction as in the previous photograph but taken in 2015. 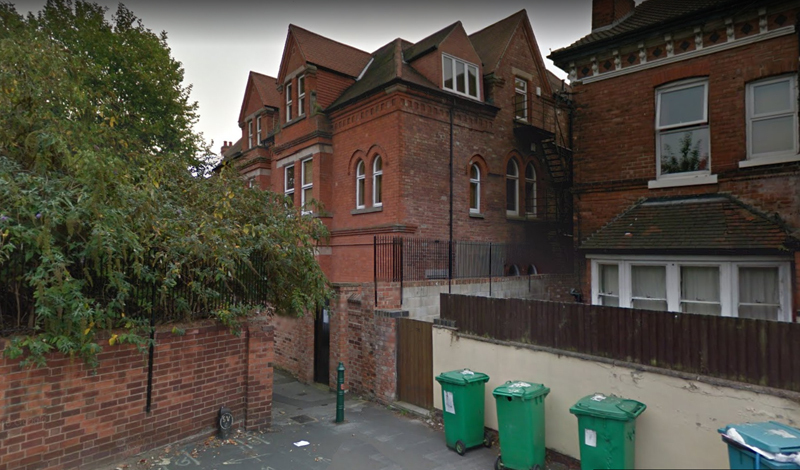 There are a number of large properties on Park Road, including these two, where they were designed with their backs to Park Road. This means passers-by never got to see them at their best. Their more elaborate frontages are all on the other side of the buildings and look out over Castle Boulevard. As we approach the end of Park Road we get a bit more modern in-fill amongst the older properties. Park Road ends in this pedestrian access into The Park. In recent years the Park Estate tried to have this passageway permanently closed but failed to get its way at a public enquiry. Consequently the gate that had previously automatically locked during the night had to be removed and the passageway is now accessible twenty-four hours a day. 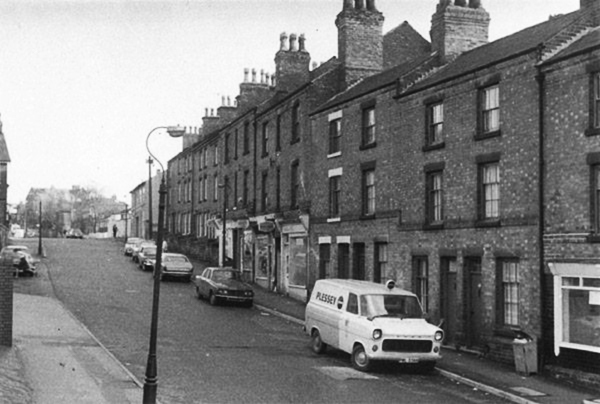 In the 1970s we moved into No.4 Park Road. There was a shop on the ground floor which my mother initially ran as a greengrocers and later turned into a second hand shop. My mum's name was Maureen Dexter (having subsequently married Alan Dexter). I went to Edna G. Olds School from 1973 to 1977 and really enjoyed living in Lenton. I was a bar maid at the Keans Head and actually worked on the last night it was open. That was a very sad night for us all. Most of the locals were there for the closing as it was their last chance to get a drink in one of the BEST pubs in Nottingham. People were busy collecting souvenirs of the old place. I seem to recall that at one point during that evening when I went to pull a pint of beer my hand grasped just thin air as the pump handles were now missing. Somehow they had been unscrewed and secreted in some fellow's pants. They were all retrieved and the beer pulling then went on. I remember the old locals that came in every Saturday morning who would play dominoes and sit in their regular seats. If any stranger came in and took one of their places, they got special looks. I loved those old Lenton gentlemen and felt it was a privilege to serve them. I often think of those happy days when I lived on Grove Road and worked in Lenton. I still miss many of the friends that I made at that time. 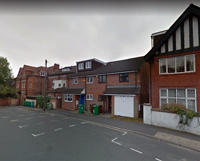 I lived at No.44 Park Road with my parents, May and Albion Snelling from the early 1930s onwards. Later we moved to Allington Avenue and I eventually left the area in 1951. Going on up Park Road, there were a long block of houses, in sets of four, with access to their rears via an entry in the centre of each four. I cannot recall the occupants of the first three houses (Nos.30, 32 and 34) but No.36 housed the Ward family who had two daughters, one of whom was called Mary. 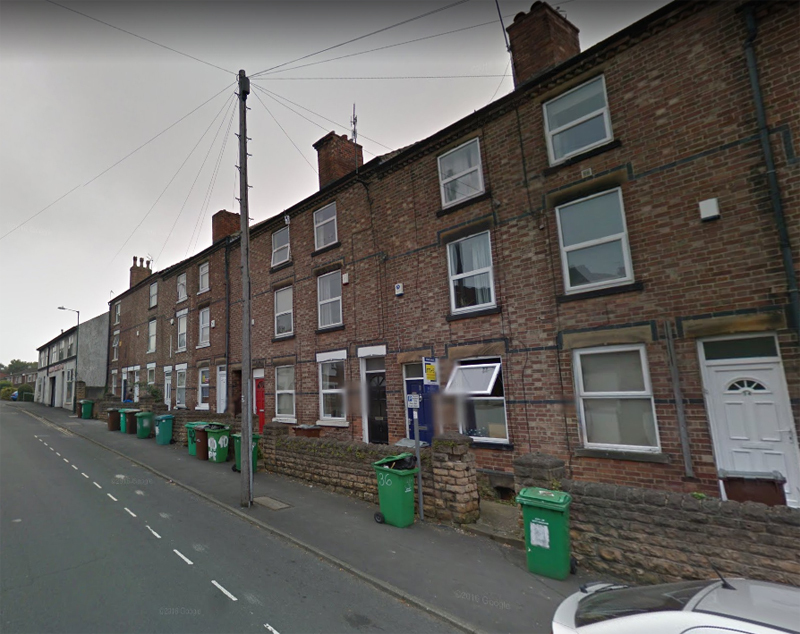 At No.38 lived the Smith family who had a daughter who was known as Doreen May to differentiate her from another Doreen Smith who lived at No.46. At No.40 were the Websters with Joyce and Ken. Next to them was Mrs Bosley, who also had a daughter. When this daughter married they repeatedly played 'Mares eat oats and Does eat oats and little Lambs eat ivy' throughout the wedding celebrations at No.42 which went on long into the night. In the backyard, which overlooked Hicking & Pentecost dyers and bleachers yard, Mrs Bosley kept a pet monkey. It was kept in a wire cage set against the wall. We lived at No.44 where my mother carried out dressmaking for a number of years. Next to us were the Smith family with their daughter, Doreen and then the Thornhills lived at No.48. After this terrace of family homes came an electrical supplies business, some gates to a set of garages and then an upholstery business. Beyond these were several large houses some of which were converted into flats, a couple of detached houses and some more properties converted into flats. At the top of the road came the Park stumps and the entrance into Lenton Road and the Park estate. 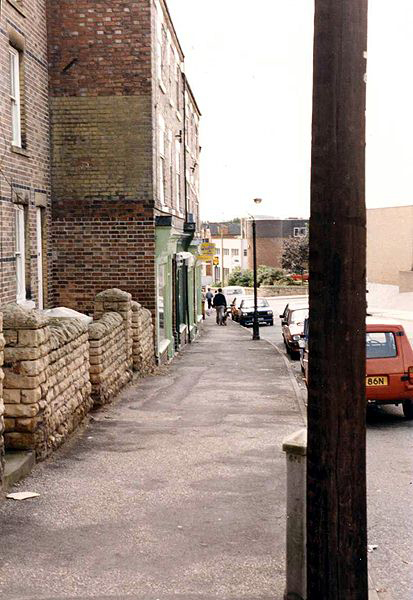 June Mills memories include references to the shops that were situated lower down on our side of the street. Not included in her recollections was Miss Onions' haberdashery shop which also sold corsets. Next door to her was the newsagents, run by Fred Ostler and after he left Gartons took it over. The sweet shop which June remembers being run by the Drakefords was later occupied by Mr & Mrs Smart. On the other side of Park Road there was, as June Mills recalls, at the corner with Willoughby Street Ball's the chemist and, just up from Ball's, Miller's the hairdressers. At Ball's the chemists, the assistant was Mr. Graham, a Scot, who was always very helpful and pleasant. As for Miller's the hairdressers, this was where I had my very first ever 'perm'. The equipment used was the type where heavy rollers were attached to wires and these were heated up connected to a stand. Talk about Medusa and the snakes! 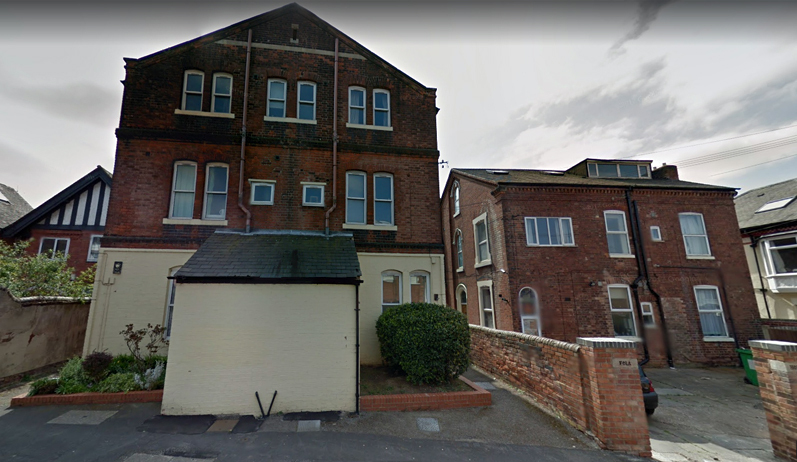 Further up the road past Wiltshire's builders yard was the house later owned by Mr. Parmenter, who ran the Dolls Hospital on Derby Road. This property was situated on the corner of Allington Avenue. Across the road was the Co-op shop and a row of several shops which I seem to remember housed a haberdasher, a butchers run by Mr Downing and a jewellery shop. After a number of years living at No.44 Park Road we exchanged houses with Dolly and Arthur Watson and their children Rita and Alan and moved to 159 Allington Avenue. I was good friends with Rita and her father drove me to and from my wedding at Lenton Parish church which took place in March 1951. More memories of the shops and businesses situated on Park Road from around the early 50s. 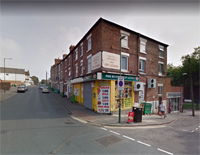 Off licence - Ford's (son Percy attended Lenton Schools); Greengrocer - Charlesworth (son Donald); Gents barbers - later purchased by Ken Loach; Chip shop - Tebbitt; Haberdashery - Gertie Onions; Newsagents - Ostler then Garton; Plumber - Roper; Confectionary - JRY Smart (son Jeremy attended Lenton Schools); row of houses then the quadrangle of lock-up garages & furniture repairers - McAllister (his intolerance of children playing around the garages earned him the nickname of McArsenic). Chemist - 'Fred' Ball; Ladies hairdressing - Ball & Miller; Private taxis - Herrick Ball (later to become the base of the short-lived and much maligned 'Herrick Ball Trio'); Keans Head; General store - Fisher; Builders - Wiltshire. On to Allington Avenue corner; Coop store - around 1950 managed by 'Ken ? '; Wool Shop/Harberdashery - ? ; Butchers - S Frank Downing; Watch & Clock repairer - Booth. I'm sure Pam Alsop is correct in that Parmenter ran a Doll's Hospital but I recollect that he also ran an evidently profitable shop somewhere called Babyland. Those of us who trudged up and down Park Road to Lenton Schools for about 6 years must have a fund of memories. Walking past the Keans Head at lunchtime provided exposure to beer fumes from the ancient extractor fans - a smell I can recapture to this day. One lunchtime there was a 'mad' dog loose on Park Road. It was ferociously attacking everybody and as a small child I stood petrified until it was eventually captured. The watch & clock shop run by the Mr & Mrs Booth was dark & dingy place until he had the first consignment of new wrist watches after the post-war austerity. They were 'Newmark' and sold for 44/-. Quite beyond reach, but much coveted nevertheless. Their shop was later taken over by Fred Ball when they had to move out of their Willoughby Street premises, but the new shop never held the same fascination for me as his old Willoughby Street pharmacy had done. Mr Smart (see above) was a conscientious shopkeeper and would regularly empty his window and replace it with a new arrangement of glass jars full of sweets. The whole business of sweets led to some peculiarly Nottingham terminology. Sherbet seemed to be known as (phonetically)'Kay-li', frozen lollies were 'suckers' and of course, the sweet makers with the brand 'Old Betty Plants' were always referred to as Old Betty's Pants. Was there not also a mobile shop going around Lenton at this time? I seem to recollect a dark blue van which plied its trade. I think the owner may have lived on Rolleston Drive and went by the name of Sparks. Also on Rolleston Drive lived a family named Hall. Mr Hall ran a painting & decorating business in the early 50s. He transported the tools of his trade around the locality in a beautifully sign-written green handcart. No horse for him, though one was provided for the Coop milkman (Charlie?). 3d from the keen gardeners was the going rate if you were quick enough with a bucket and spade to beat the other kids to its droppings ! Happy days . . . . .
As young kids waiting to pay our 1/6d for a quick back & sides at Ken Loach's barber shop, there would be a tap on the especially constructed little window adjacent to the door. Whereupon Ken would stop the cutting and after a whispered exchange and the passing over of money, a mysterious 'something for the weekend' was surreptitiously passed through the little window! 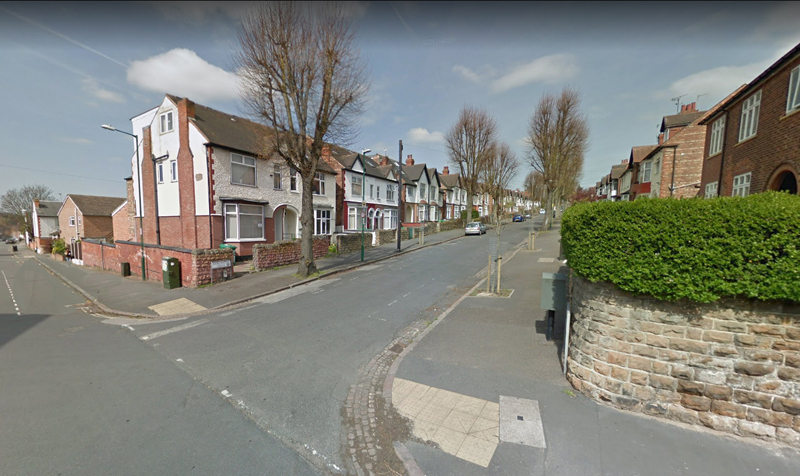 My maternal grandparents were James Edward Wells and his wife Sarah Ann (nee Johnson) and they acquired 2 Park Road, New Lenton in 1902 when grandfather came out of the regular Army. They are both buried in Lenton church yard and their tombstone records the fact that Grandfather served in the 1st Royal Dragoon Guards. Their daughter Alethea (known as Babs) and her husband Leonard Francis Mills (my parents) took over the running of 2 Park Road after our grandparents died, (Grandfather in 1924 and Granny in 1937). The shop at that time was a beer-off and general store. Father also worked as a self-employed electrician; people would bring their accumulator batteries to the shop for re-charging. These contained sulphuric acid in glass containers and were radio batteries. I understand this kind of service was quite a business in the 1920's and 1930's. My brother and I can recall other shops and premises on Park Road. Looking up Park Road from No.2 and concentrating first on the right-hand side after No.2 was a family named Rhodes (later Parish who was the son-in-law to the Rhodes) - they ran a greengrocery and florists. Then came a gent's barbers (shop only) - a family by the name of Herberts occupied the living quarters. Then 2-4 houses - we remember one of them being occupied by a family named Pickering. Then came Tebbitt's fish and chip shop (this was opposite the bottom of Tyne Street). Moving further up here was a house occupied by a family named Pollard who had a son who worked for Burton Halton, a wholesale grocer on Castle Boulevard. Then there came a family named Haywoods; then a plumber and plumber's supply shop; after that we can recall a newsagents and then Drakeford's sweet shop. They had a son called Michael. 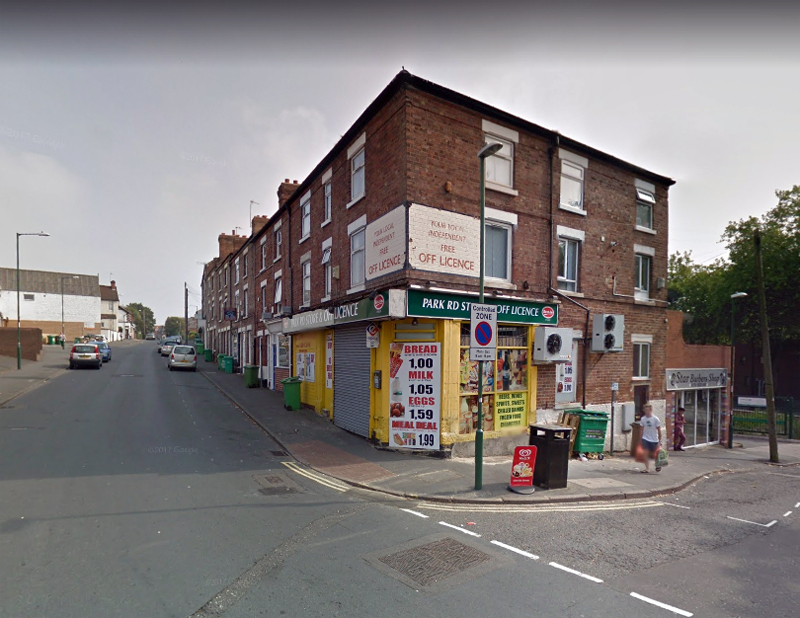 Moving to the left-handside of Park Road and looking up from Willoughby Street - on the corner was Ball's the Chemists followed by Miller's - ladies hairdresser, who was the son in law of Mr & Mrs Ball. Then came a house, followed by a butcher's shop on the corner of Tyne Street by the name of Castle or Castledine (we think). On the other corner of Tyne Street was The Kean's Head public house . At the bottom of Park Street was a small house with a garden/yard surrounded by a low wall. Then came a beer-off/toffee shop (run by a family by the name of Chadbourne we think). There were then some houses and also Wiltshire's builder's Yard. Our family which consisted of my parents plus their children Harry, Alan, John and myself eventually left Lenton just before the second world war.